TIRUPATI has been serving high quality Edible Oils to its consumers since its inception. We have a wide range of products for specialized applications to the food industries and to meet the needs of the modern family. 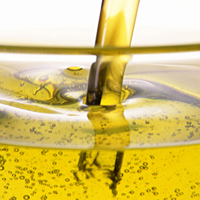 With a vast experience of processing & producing edible oils we have been able to satisfy the needs of our customers. TIRUPATI manufactures various Edible Oils including Sunflower, Soyabean, Mustard, Groundnut, Cottonseed, Palm and Sesame, which are marketed under its various brands. 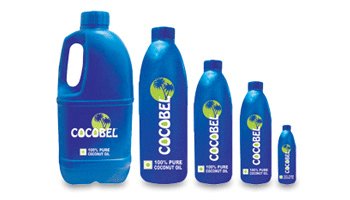 TIRUPATI's Coconut Oil is marketed under the brand name COCOBEL®. All of TIRUPATI's Edible Oils are of highest quality standards. The oils go through a complete ‘untouched by human’ process and ourinternal quality control systemensures that the oils are thoroughly checked before they leave our premises. The labels and design on our aesthetically designedtamper proof Pouches, Bottles, Jars and Tins come with the ‘TIRUPATI PREMIUM QUALITY SEAL’ that shows the oil is quality passed and comes with highest quality standards. Our special 5-layer Edible Oil Pouches are designed to protect the quality of the oil, prevent leakage and to keep the oil in its original state. TIRUPATI's Refined Sunflower Oil comes with a perfect blend of Mono and Poly Unsaturated Fats (MUFA and PUFA) to naturally retain the original flavours of recipes to give delicious food. TIRUPATI's Refined Sunflower Oil is processed to perfection and with its light yellow colour; it is visually appealing and has superior clarity. TIRUPATI's Refined Sunflower oil is rich in natural Vitamin E, which acts as an antioxidant. Its health benefits, high smoke point and bland flavour; make it an excellent choice as a cooking medium. TIRUPATI's Premium Kachchi Ghani Mustard Oil is suitable for all types of cuisines, imparting its flavour and freshness to the food cooked in it. Kachchi Ghani oil is traditionally known as a natural preservative and hence is ideally used for pickling. TIRUPATI's Refined Soyabean Oil comes with many nutritional qualities. The natural taste of the oil enhances the flavour of food without changing the taste of other ingredients of original recipes. TIRUPATI's Refined Soyabean Oil contains both MONO and POLY Unsaturated Fats, which are known to reduce cholesterol levels. Natural Omega-3 fatty acids that are present in Soyabean Oil offer protection against various diseases. TIRUPATI's RBD Palmolein Oil, has a balanced fatty acid composition of MUFA (Mono Unsaturated Fatty Acid) and PUFA (Poly Unsaturated Fatty Acid). Its high smoke point makes it suitable for deep-frying. TIRUPATI's RBD Palmolein Oil is an economic and healthy cooking medium catering to all classes. COCOBEL® 100% Pure Coconut Oil is expelled from high quality 'copra' that is handpicked to ensure the best quality of oil. The fresh sweet aroma of COCOBEL® instantly rejuvenates the senses and soothes the body. COCOBEL® being a 100% natural coconut oil has great consumer acceptance and due to its excellent durable packaging the oil stays fresh for a longer duration. TIRUPATI's Refined Rice Bran Oil comes with Natural Vitamin E and Oryzanol that give many benefits with use. It is light and has a high smoke point which makes it ideal for cooking and frying. Rice Bran Oil's nutritional benefits make it a preferred oil for cooking in India and around the world. TIRUPATI's Pure Sesame Oil is cold pressed and extracted from the finest quality Sesame seeds. Enjoy the royal aroma of Sesame in your cooking and make your meal delightful. TIIL also manufactures Non Edible Vegetable Oils like Castor, Ricebran, Palm and some of their derivatives and these are sold as per the specific requirements of our esteemed Industrial Consumers.